Florida and summer rains go together like peanut butter and jelly. From beautiful, clear and sunny to dark and stormy, the skies in the “Sunshine State” are rather unpredictable. As a cyclist, getting in those miles is important and necessary, rain or shine. 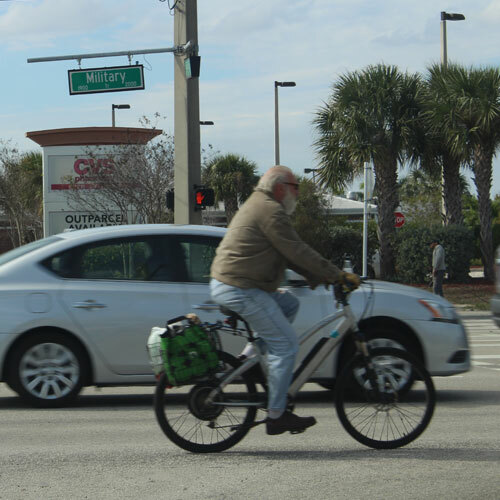 Whether it’s a light sprinkle or a torrential downpour, cyclists who are prepared before getting on their bike will be much happier as they travel along Florida’s rainy roads. Being prepared for cycling in the rain goes beyond comfort. For serious cyclists, safety is truly compromised during a heavy storm. As such, being equipped for cycling in the rain is absolutely no matter what level of riding you are in. Riding during the rain is inevitable in Florida. As a cyclist, it is your duty to ensure that you are navigating the roads in the safest manner possible. When your rainy ride is complete, don’t forget to wipe the dirt and water off of your bike, from the wheels to the front and back. Drying the bike will prevent rust from developing. Finally, always use common sense when riding in the summer rains. If a storm gets too heavy, pull over and wait until the rain calms a bit before finishing your ride.